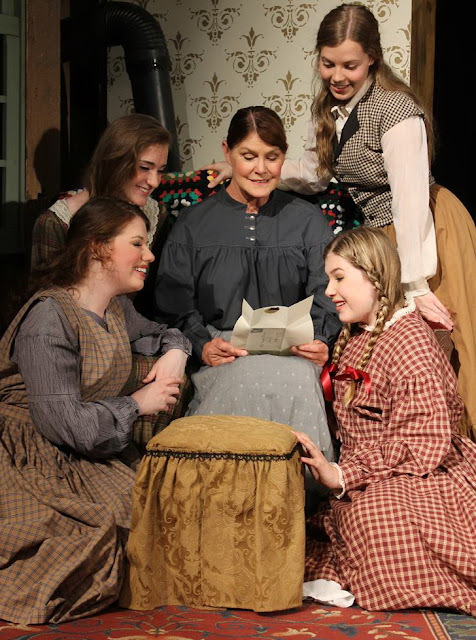 Putnam County Playhouse: "LITTLE WOMEN" OPENS THE SEASON! 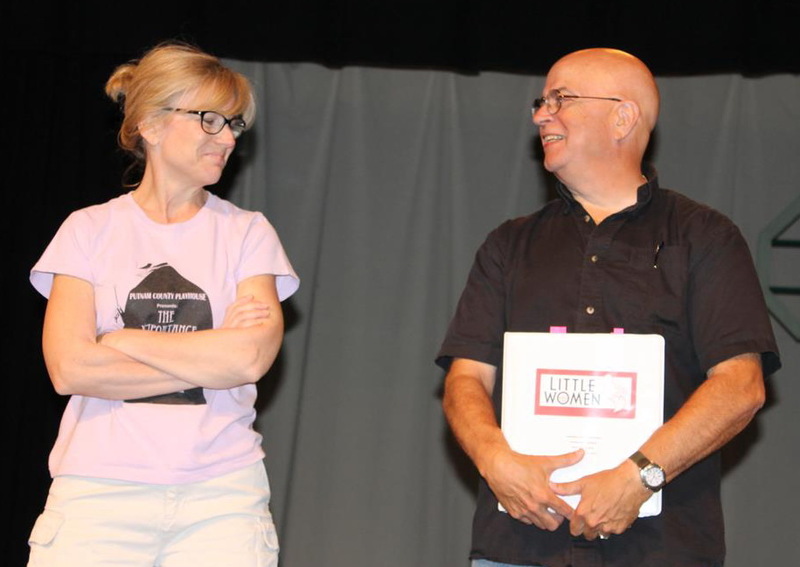 Putnam County Playhouse opens its 55th season with a production of the musical version of Little Women. 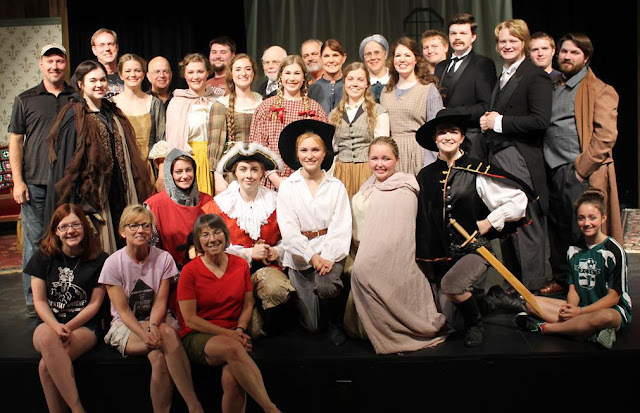 Based on the famous novel by Louisa May Alcott, it will be presented June 2-4 and June 8-11. All shows begin at 8 p.m. The production is being sponsored by Shuee’s Furniture and Mattress. Tim Good is the director. Musical and vocal direction is by Erik Foster. Playing in the pit are Amy Tharp, pianist; Morgan Asher, keyboard; Michael McClaine, percussion; and Ethan Williamson, bass. Assisting Good are Jim Green and Caroline Good. Caroline is also costumer for the show. The show features Samantha Flannelly in the role of Jo and Debby Lambert as Marmee. The other March sisters are Meghan Armitage as Meg, Michaela Semak as Beth, and Samantha Grace Shelton and Sarah Arnold who share the role of Amy – portraying the character at different ages. 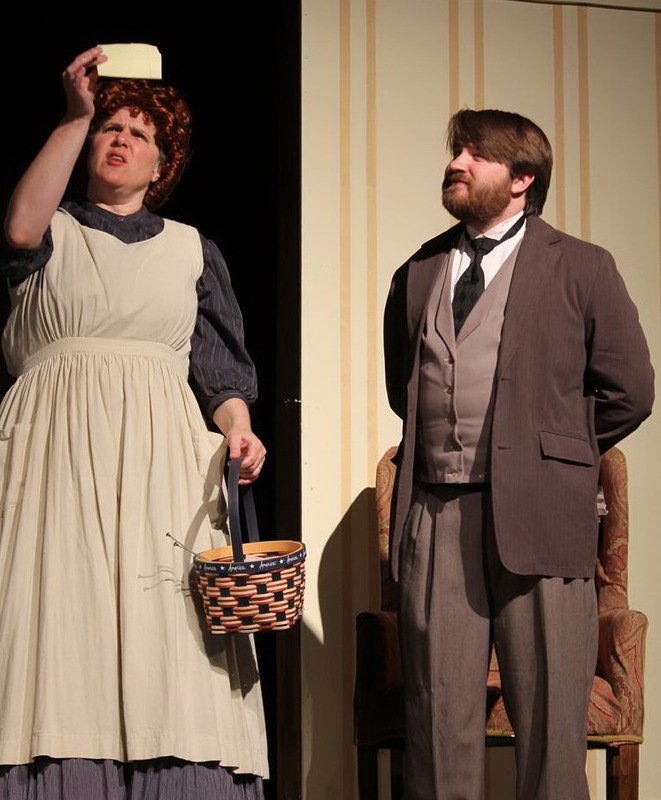 Eleanor Howard enacts Aunt March and Mrs. Kirk, a Brooklyn landlady. 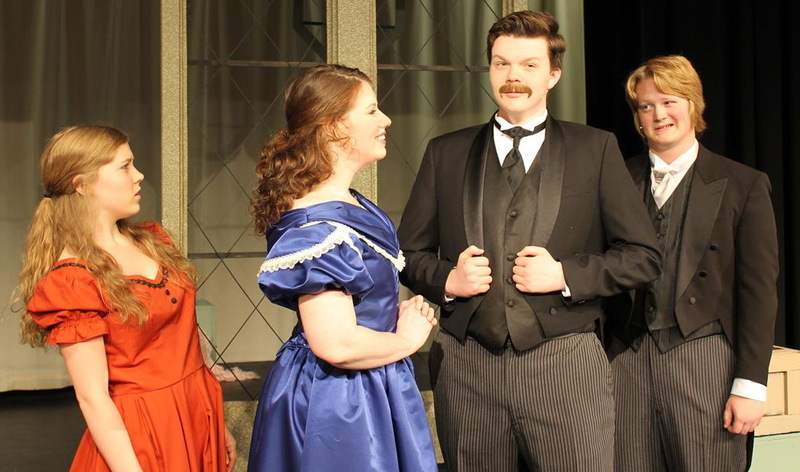 The male side of the story is represented by Alan Skillern as Laurie, David Maginity as John Brooke, Dustin Bond as Professor Bhaer, and Jack Randall Earles as Mr. Laurence. The lively ensemble, each of whom plays three parts, includes Lindsay Bridgewater, JenJe Stouder, Anna Harris, Haleigh Rowls, Arianna Pershing, Gwen Mazur, Rachel Lubinski, and Arnold. Cast & Staff of "Little Women"
Working on the technical side are Brandon and Cameron Wunderlich. Linda Gjesvold did set painting and construction. 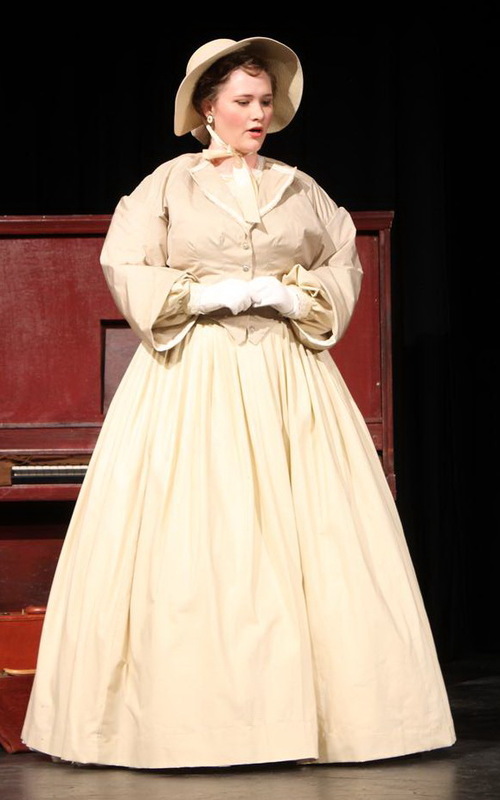 Sarah Arnold as grown up Amy. All photos by Linda Gjesvold.